Here you can find Karaoke music from the 1980s. Primarily these karaoke cds were produced specifically to be 1980s karaoke song discs, rather than just happening to have 1980s songs on them. These Karaoke song discs include music from all genres of music, Rock Karaoke, Country Karaoke, POP Karaoke , from a mix of male karaoke music artists and women music artists as well as Bands. Some of these 80s Karaoke cds are multiplex. As well included here are discs labeled 1980s & 1990s or 1970s and 1980s. From the distinctive sound of Willie Nelson to the Twang of John Anderson, the pleadings of Crystal Gayle and Exile to the Love songs of Julio Iglesias, Conway Twitty and Charley Pride, the 75 Karaoke Songs on this CDG are constant reminders of daily life for Country Music Lovers. Johnny Reed reminds us, divorce can be costly and it’s pretty easy to picture a home decorated by a Wino as we are told by David Frizzell. Loretta Lynn’s little sister Crystal makes a couple of appearances and joins Eddie Rabbitt for a tender Country Ballad. 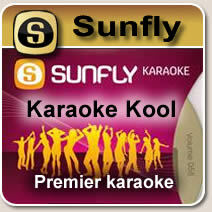 This Karaoke CD is a great selection of Karaoke Songs for Women and Karaoke Songs for Men and then songs for duets. The 80s saw a revitalization of Country Music and it is reflected in many of the timeless hits on these Karaoke Discs. Engineered and produced by Chartbuster Karaoke, this set is exclusive to Allstar Karaoke in Canada and with Chartbuster stopping their operation, it cannot be back ordered. Avoid disappointment and get your order in soon as the set is in fairly short supply and there is no way of telling when we will run out. 1980s Pop Karaoke Music on CDG CDs - 16 pop Karaoke Songs from the eighties - Disc Number 5 of 6. These Chartbuster discs are now available as singles for the first time.